GM Fairfax gives $100,000 to six Kansas City nonprofit agencies – Welcome to Wyandotte Daily! 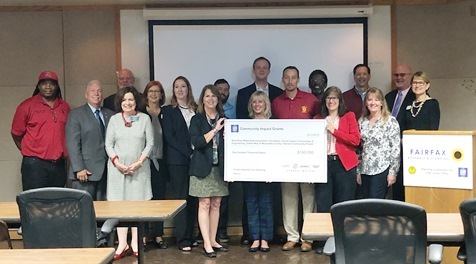 Today, General Motors Fairfax Assembly and Stamping presented six Kansas City-based nonprofit organizations with $100,000 in Community Impact Grants funded by GM Corporate Giving. Bill Kulhanek, plant executive director, and Dwayne Hawkins, UAW Local 31 shop chair, welcomed nonprofit leaders and government officials to the breakfast event. Kansas City, Kansas, Mayor David Alvey spoke at the event. Mayor Alvey thanked General Motors for being a great corporate citizen, for its financial commitment to the local community and for the many volunteer hours contributed by the plant’s employees. The GM Community Impact Grants Program makes possible a social impact strategy for GM plant communities that shows GM is a corporate citizen leader to their employees and in their local community, according to a company spokesman.